I needed to replace a few luggage tags for a plane trip. I like covered luggage tags for security reasons. I couldn’t find a style I liked and that was unique enough to distinguish my suitcase from everyone else’s suitcase in the airport. 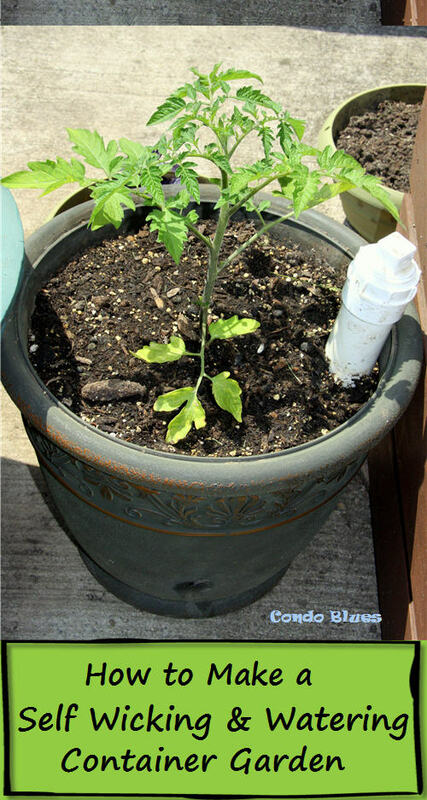 Pin this tutorial for your next trip or vacation! Blitzkrieg offered to help in the bag identification and security department. I think he was trying to get a free trip and told him he couldn't go. I hate making Blitzkrieg sad. I told him he can eat any robbers that try to break into the house while I am gone. I thought that might make up for being left behind. I packed the most important stuff for your trip Lisa. By the way, you could use a luggage tag on this suitcase. No one tried to rob the house and I got an earful from the Welcoming Committee when I came home. Blitzkrieg wasn’t happy when he found out I didn’t bring him a slice of real deep dish pizza from Chicago when I got home from the Craftsman DIY Blogger Summit. but let Blitzkrieg do his dirty work. Enough of the fun we put in dysfunctional. I'm jumping back to the making clever stuff story. 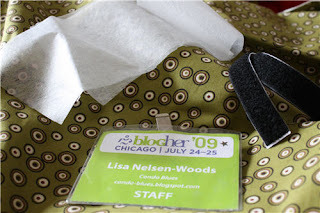 My eye fell on the BlogHer ’09 conference badge I clipped to the lamp on my sewing table. Hey! I bet I can make a covered luggage tag from a conference badge. 1. Cut one 12 inch long by 5 inch wide rectangle of fabric and interfacing. Optional: I used a 12 inch long piece of fabric that I folded in half because I didn’t want to fuss much with matching up the Velcro on the inside top and outside bottom of the luggage tag. You can cut two 6 inch long by 5 inch wide rectangles of fabric if you like. It may be fun to try using different fabrics for the inside and outside of your luggage tag holder. Or not. Do what you like - have a ball! 2. 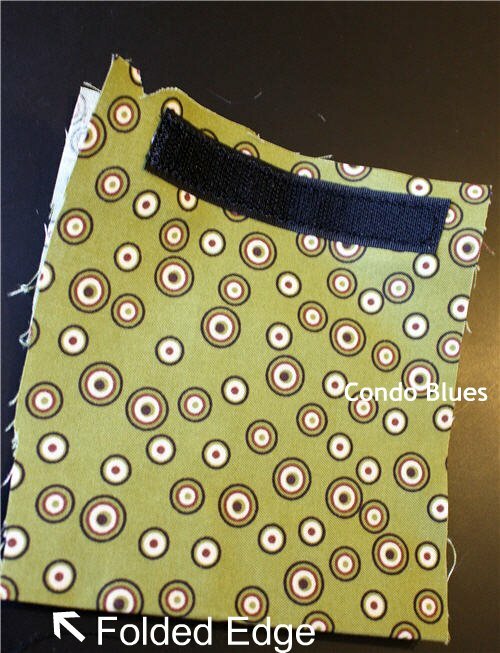 Use the iron and ironing board to attach the interfacing to the wrong side of the fabric if you are using iron on interfacing. 3. Fold the fabric rectangle in half, right sides (the pretty part) facing out. 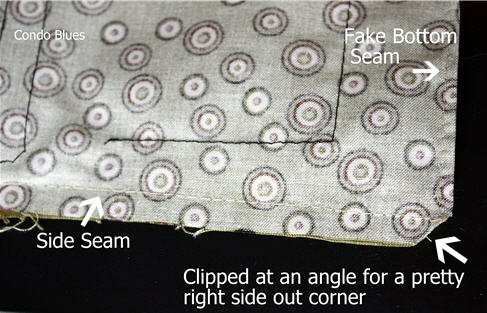 pinning the Velcro to the front layer of fabric only. 5. 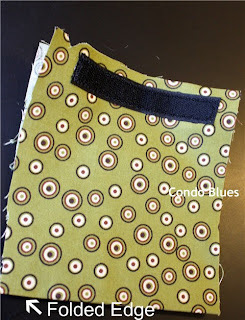 Pin the other side of the Velcro ¼ inch from the bottom of the fabric rectangle on the back side of the fabric rectangle. 6. 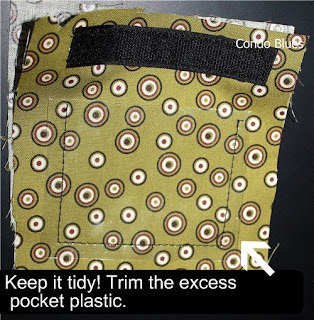 Sew the Velcro strips in place with the sewing machine. Remove the pins when finished. 7. Cut the conference badge holder apart. Pin the square 1 inch from the Velcro strip to what will be the fabric inside of your luggage tag. 8. Sew around three sides of conference badge holder. Tip: I used a ¼ inch seam and it worked fine. I didn’t need to buy or use a special foot for my sewing machine but you might. 9. Trim the excess plastic from the side seams of the conference badge. 10. Pin right sides together and sew three sides of the fabric together. Optional: I sewed a seam across the folded edge so it looks like I used two pieces of fabric when I only used one. Sneaky, huh? I got giddy and used a different color thread for the side seams. 11. Clip the corners at an angle with the scissors so you will have nice pointy corners when you turn the whole thing right side out. 12. Turn the luggage tag right side out and press the seams with the iron and ironing board. Warning: Don’t melt the plastic ID holder! 13. Fold and pin the raw edges inside the top of the luggage tag holder. 14. Sew the top seam closed with the sewing machine. Optional: I top stitched all four sides of my luggage tag for durability and to make it look professional. I used a different color thread for the top stitching too. 15. 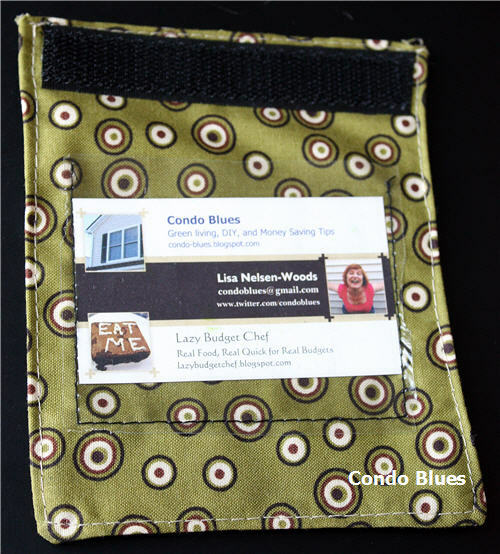 Insert a card with your identification into the plastic pocket. 16. Wrap the luggage tag holder around the handle of your suitcase and secure it with the Velcro strips. 17. Hit the road, Jack! My wrap around luggage tag holders survived checked baggage; carry on baggage, and plane side check in baggage. My airport does not always use grown up planes. They surprised me with plane side check in on three of my last four flights. They work great on car trips too! Are you going anywhere fun this summer? Really cute! My parents could use some new luggage tags with some bright fabric when they travel. Great idea! Steph - Having a nice patterned tag on a black suitcase helped me find it quickly at the baggage claim! Awesome! 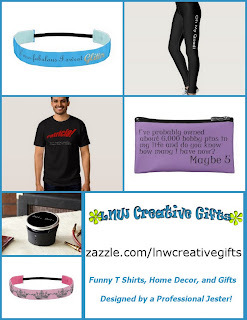 Thank you so much for linking up to Upcycled Awesome. I definately need to make a batch of these! I will definitely make some of these if I ever get on an airplane again! :) I'm hoping the pat-downs will stop! Tanya - I go through the body scanner instead of a pat down. Pat downs confuse me. Should I tip the TSA agent when they are done or leave the money on the dresser? Hello, I just found you blog! I was looking for information on one eye pekingeses. I'm about to adopt a 10 mo old one eyed peke. 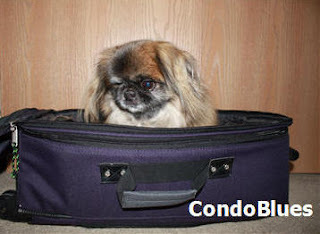 I just want to make sure (from another peke owner) that she will be okay with one eye. This has kept me up at night worrying about how she will cope with one and and the fear of something happening to her remaining eye. I can see your little guy is happy and healthy and seems to be handling the one eye thing fine! Is there any problems with his remaining good eye? Sorry for all the questions ! I'm just a worried doggy mama. Hi Kaity - I'm concerned about Blitzkrieg losing sight in his other eye too. I switched his ceramic dog food & water bowls to lead free stainless steel when I noticed his eye clouding and read that it's possible lead could be in the paint of some pet dishes. I looked into having the former bowls tested but it's easily done. After the switch the clouding in his eye cleared. That's the only issue we've had. Blitzkrieg does surprisingly well with one eye. All of his toys have squeakers so I can alert him where I am w/ his toy if a rousing game puts me on his blind side. Blitzkrieg responds to hand signals better than voice commands. We do agility for fun but some obstacles like the weave poles are a little harder for him. His favorites are the contact obstacles which are typically harder for most dogs. My boy is a genius! Personally I think you will make this best human for this dog because of your concerns. The best thing you can do is treat your one eye Peke as you would any two eyed dog. Be consistent with routines, commands, and expectations. Be a good leader. You might have to be a little creative and adapt things to a dog with a blind side but doing so also reinforces that dogs explore the world with their noses first and eyes second. If you need any help or have specific questions please email me! Thanks so much for getting back to me! Hopefully the foster mom will accept my application and I can bring my little one eyed peke home. I don't even have her yet and I am so concerned! Thats really interesting about the ceramic bowls, I have a boxer who eats & drinks out of those bowls and i haven't seen any clouding yet so hopefully we don't! I probably will be sending an email when if I get the dog just so I can have some correspondence with another one eyed peke owner :) I'm just paranoid since I've read all these stories about one eyed dogs remaining eye bulging out and other horrible things. But fingers crossed that'll never be an issue. ! ps. Just favorited your blog. It's so great! I love this! I would love it if you would link to my Tuesday Confessional link party going on now: http://www.craftyconfessions.com/2011/06/tuesday-confessional-link-party.html. I hope to see you soon! This is a great fabric stash buster project! I made a bunch of luggage tags from fabric scraps for Christmas stocking stuffers.